"I'm a single dad and I've never been married," he said. 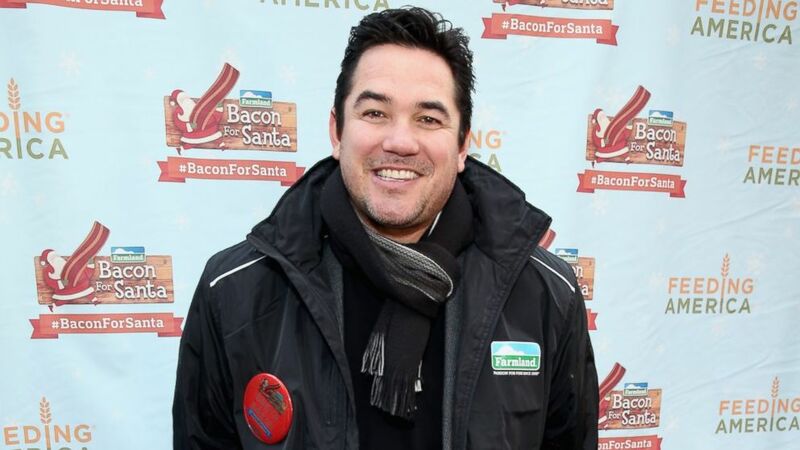 camera (Neilson Barnard/Getty Images) Dean Cain and Farmland rally with Santa Claus in Herald Square Park pledging #BaconForSanta to help fight hunger this holiday season with Feeding America on Dec. 4, 2014 in New York City. Everyone knows Dean Cain through his impressive resume of hit shows and movies like "Lois & Clark: The New Adventures of Superman," "Las Vegas" and "Ripley's Believe It or Not." But there are things you don't know about the actor. Cain, 48, spoke to ABC News as part of his collaboration with Farmland Foods to bring 100 Santas together in New York in an effort to help feed the less fortunate. If fans post on social media with the hashtag #BaconForSanta and Farmland will donate 10 meals to Feeding America. Aside from his charity work, here are five fun facts you never knew about Cain. Yes, Cain was a member of the Buffalo Bills in the late 1980s. "I got in as a rookie and I was out," he said, adding that he injured his knee. Cain played football in college, and spent 13 years playing before he got to the pros. In fact, he once announced the college All-American team and some guy asked, "Why is the Superman guy here?" Well, now you know: Cain was a great football player and an All-American himself. "My biological father is Japanese. I never knew him, never met him. My original given name was Tanaka, but when my mom remarried when I was 4, I took his name, which is Cain," he said. He's a Princeton graduate with a bachelor's degree in history. "I love literature and I love stories," he said. "History is one big story." He took his comprehensive exams in war and diplomacy. (ABC via Getty Images) Teri Hatcher and Dean Cain pose for a photo for "Lois and Clark: The New Adventures of Superman," Aug. 16, 1994. Cain said a lot of people think he is or has been married and he wants to set the record straight. He's a father to a 14-year-old boy, Christopher. "I've never been married, never ever," he said. "I think he's pretty proud of dad, but to be honest, I'm pretty proud of him. I think he's my favorite human being on the planet. My best day would be just to wake up, and me and my son have a great day at home ... having no plans and hanging out with my son is my favorite day." "I cook every meal for my child. If I don't cook, he doesn't eat," he joked. "I cook a very mean steak. I'm also very good at taking the nine leftovers I have and turning it into something." "We'll go to a steak restaurant and sit down and have a steak, and my son will go, 'Dad, your steaks are better!'" he said. "That's a badge of honor for me, I'm very proud of that," he said. "Obviously, Superman being the main one [among parts I've played], how can I not be proud of being associated with the greatest American icon of all time."